Today’s post is short and sweet and features two polishes I am loving at the moment. Firstly, is Go Ginza by Essie which is a very pretty pale lilac. The polish applies beautifully and the colour is perfect for Spring so is definitely one of my ‘go to’ polishes during this time. You can’t beat a good pastel at this time of year. Go Ginza looks very pretty on it’s own but it quite thin so you need three layers in order to get a flawless finish. When used with base and top coat I’ve found it lasts around 4-5 days before it starts to chip which is perfect for me as I tend to change my polishes weekly. In the above picture I have teamed Go Ginza with another Essie polish named Hors D’Oeuvres which I recently bought in a haul. This is a very pretty polish which contains an assortment of iridescent large silver glitter suspended in a light gold liquid. Since buying it I have often used it as an accent nail and more recently for this look just on the tips of my nails which looks very pretty too. I love the combination of the two polishes because it gives a simple, subtle look, however, I do find the combination of the two does chip more easily and within 24 hours I had my first tiny chip. I’ve had some others other the week on the corners of my nails so they don’t look too obvious but if you like to wear a polish which is completely chip proof for a good number of days then this one isn’t for you (unless maybe you experiment with different top coats). You can buy Go Ginza from Amazon for £4.95 and Hors D’Oeuvres from Superdrug for £9.99. 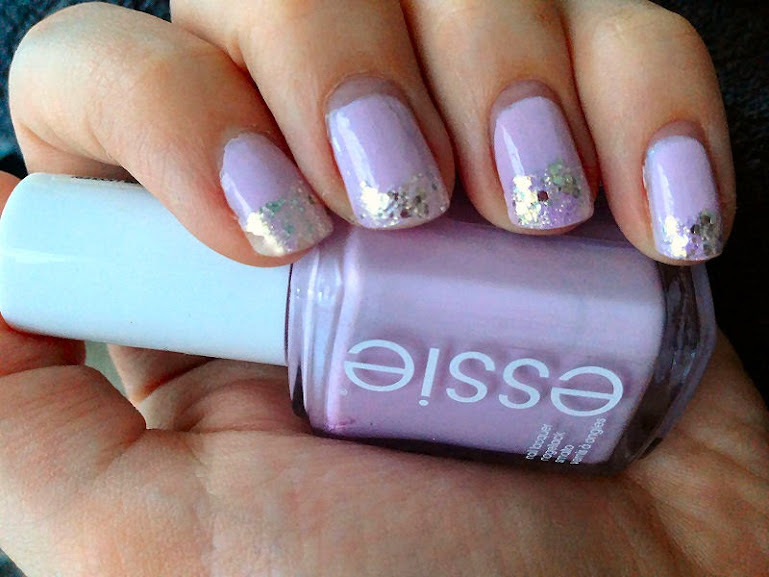 What do you think of these Essie polishes together? Love how these two look together!